If your loved one has been dreaming of a unique ring design to represent them, this is the one! 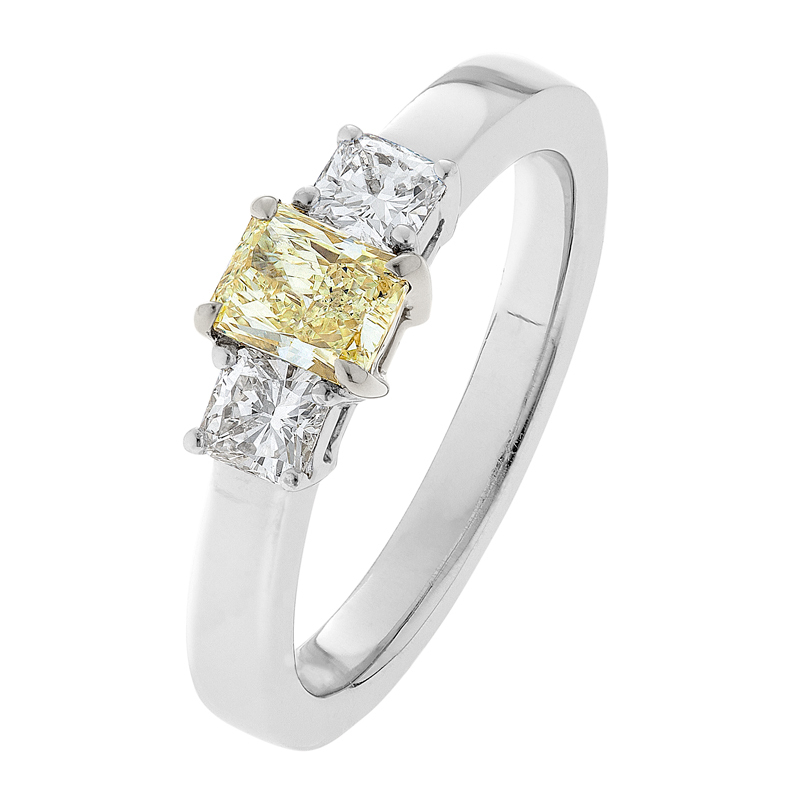 Our Mireya diamond ring is a twist of the modern and classic engagement ring, a natural Yellow Kimberley diamond adds colour and contrast to the brilliant white diamonds featured either side. A perfect way to say I love you..
Dimensions: Total width at top is 7.5mm, band tapers from 3.5mm to 2.2mm wide.